Justinmind v6.4 includes great new features that will help you create better and more complete prototypes. In addition, we have included several crash and bug fixes that have improved performance noticeably. Noteworthy features include parallax effect simulation, more attributes per element, On Scroll event, calculated positions and, customizable screen sizes for a single prototype. This update will enable you to prototype and test one of the biggest trends in web design at the moment: Parallax scrolling. You will be able to enhance your user experience by making it more dynamic and visually interactive while keeping the flow of your design. This example will give you an idea of what you can create. On Scroll event. Now you’ll be able to add the On Scroll event to your elements, and simulate parallax scrolling in either static or responsive screens. More attributes per element. In addition to value, you can now easily set up expressions using an element’s position, width/height and rotation angle. New constants. Scroll position and cursor position are now constants that you can use in your expressions. Calculated positions. Within the “Move To” action, you will now be able to move any element to a calculated position. 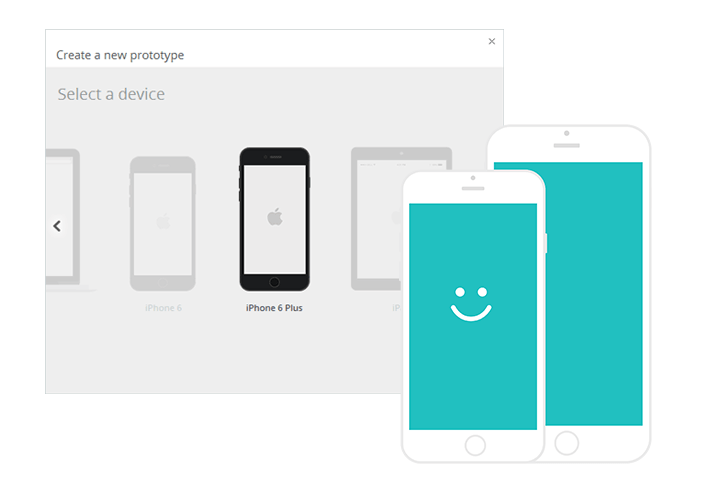 We’re welcoming the iPhone 6 and iPhone 6+ to our pre-set device list so you can start prototyping your apps right away. Our mobile emulators and the Justinmind app will show you a perfect-fit preview of your iPhone6/6+ experience design.